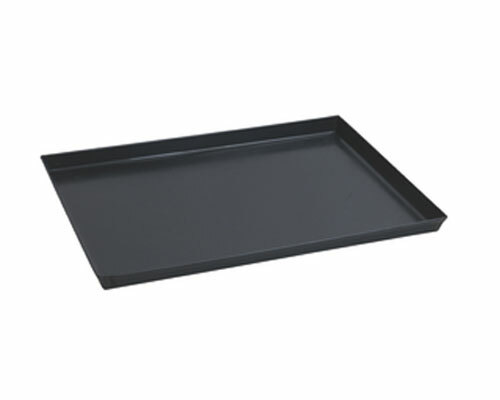 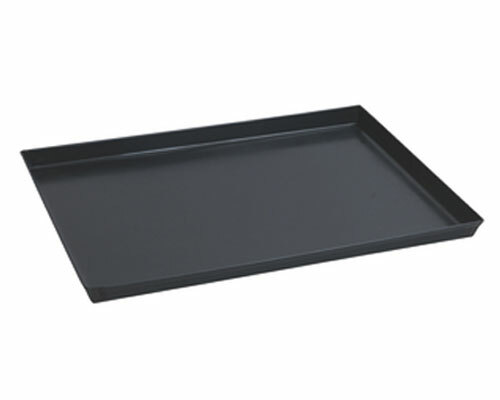 The Matfer Bourgeat 26x18 in. 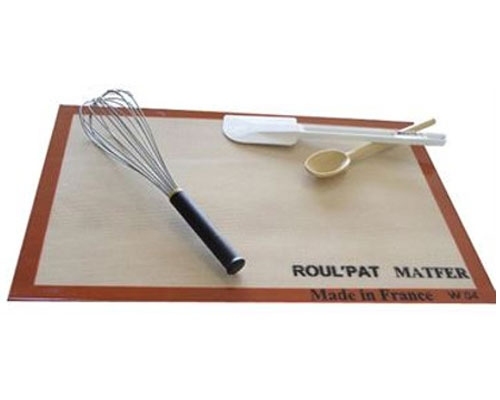 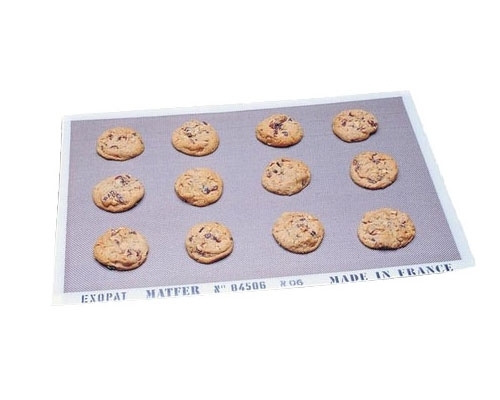 Roul'Pat Silicone Pastry Mat is made of woven silicone and rubberized on both sides, the side with the markings is for working the dough. 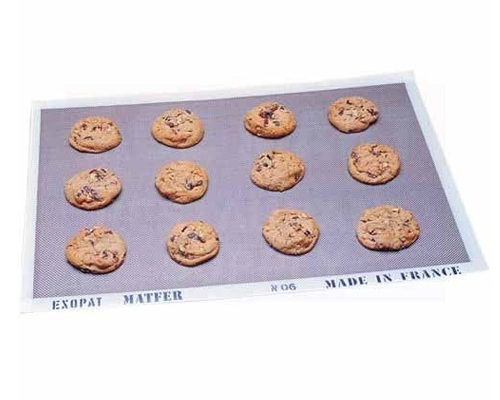 The other side will give the nonskid effect needed to roll the dough. 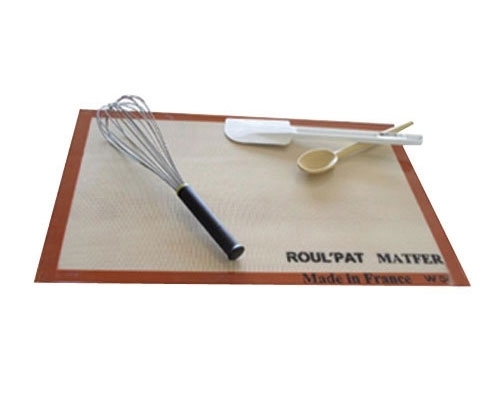 Roul'pat is ideal for mixing and rolling dough, like puff pastry dough, or beating, like savarin dough, creating forms or decorations with chocolate, sugar and baking.